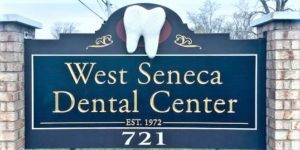 West Seneca Dental Center, under the new owner, Dr. Rastakhiz, continues to provide highest quality of personalized dental care to our community. Our friendly, family-oriented team strives to make your overall experience an enjoyable one. Dr. Rastakhiz received his education at UC Berkeley (Bachelor’s), UB School of Dental Medicine (DDS), and ECMC (GPR). 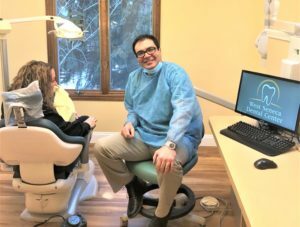 He practiced dentistry in California for years and has recently moved back to Western NY to raise his family in our great community. He is married with a son and two cats! Now at our upgraded facility and utilizing the newest technology, Denise, Kim, Kat and all our knowledgeable staff you have known for years will provide the highest quality of care for you and your family. We have evening hours till 8PM on Wednesdays! 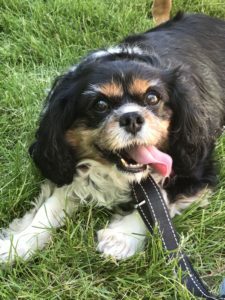 Keegan, our therapy dog, is also here to help! 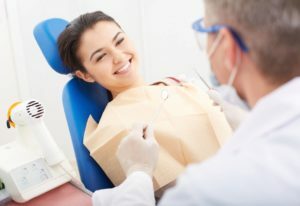 We accept most dental insurance plans including: Delta PPO, GHI, Emblem, Delta Premiere, Pro Ben, Dental Pay, United Healthcare, United Concordia, Nova, Guardian, Aetna, Metlife, GEHA, Connection Dental, Cigna, Amerites, Lincold Dental, Healthplex (some plans) and we are currently looking to add more; please call us for details and updated list of accepted insurances. We also offer discounted fees to our seniors. We will also gladly arrange payment options to afford you the opportunity to receive the highest quality of care while not straining your budget. To Pay Your Bill Online: Click on ‘Pay Now’ button bellow, enter the payment amount and the secure website walks you through step by step and will give you a receipt at the end.